When you think spring or Easter, what comes to mind?—-flowers, blossoming trees, and….bunnies?! Below you will see a photo of one of our baby bunnies—her name is Isabelle (or Izzy as I call her). She and her sister, Snowy, just might be available and willing to join your children in the studio this spring, for a VERY limited time only! Contact us for details. These bunnies are our babies so they are completely loved and ‘encouraged’ to participate with cuddles and treats! Did you know bunnies LOVE raisins?—-They do! Call us today to make your reservation. These are extremely limited! But remember, these are only available to a limited number of clients this spring! This will sell out quickly so contact us now! We can’t wait to meet you or, to our returning clients, to see you again! Cheers to warmer weather, more sunshine and flowers, and soft, sweet bunnies! Natural Childbirth Class: 6 week series, begins Oct 1st, 2017. (More info on the website) and as always, students receive special pricing on portraiture and other services at Devon Roe Photography. Both classes are VERY LIMITED availability so register EARLY to insure your space! 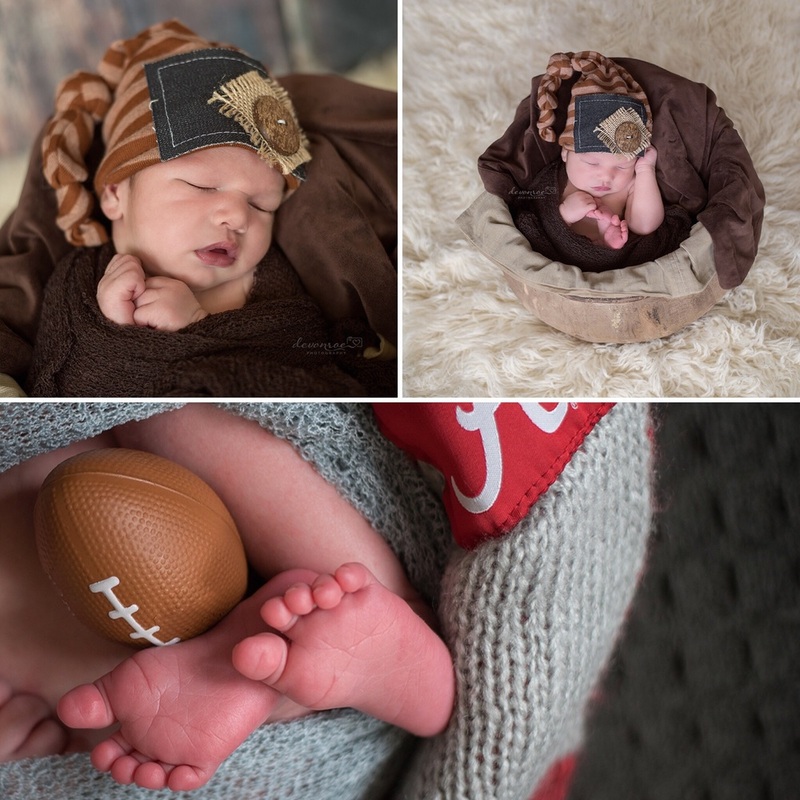 Finally, we recently announced the opening of our schedule for Fall Portraits---session dates and times are already filling up! Peak foliage is generally early October; make your reservation now to get the best color this autumn! Birthdays are a time for celebration and for creating memories. 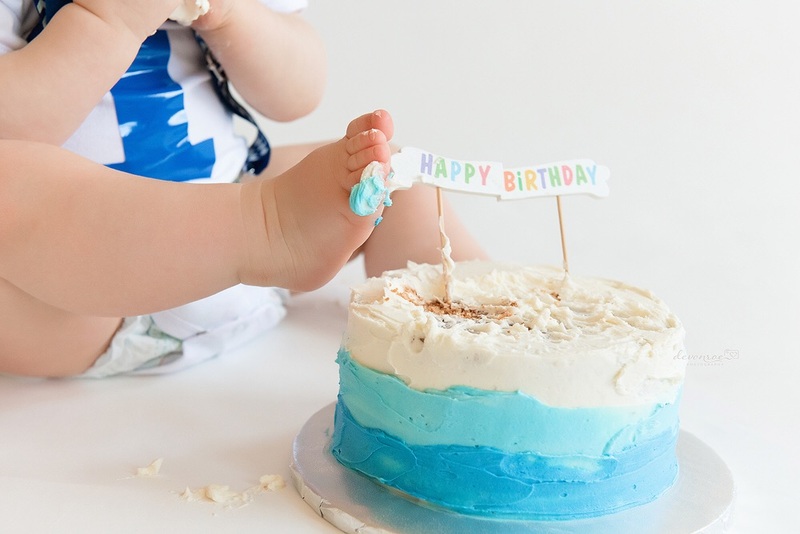 For that very first birthday it's a celebration of your baby turning one, of all their firsts and milestones reached and forthcoming, but also that you survived that first year! 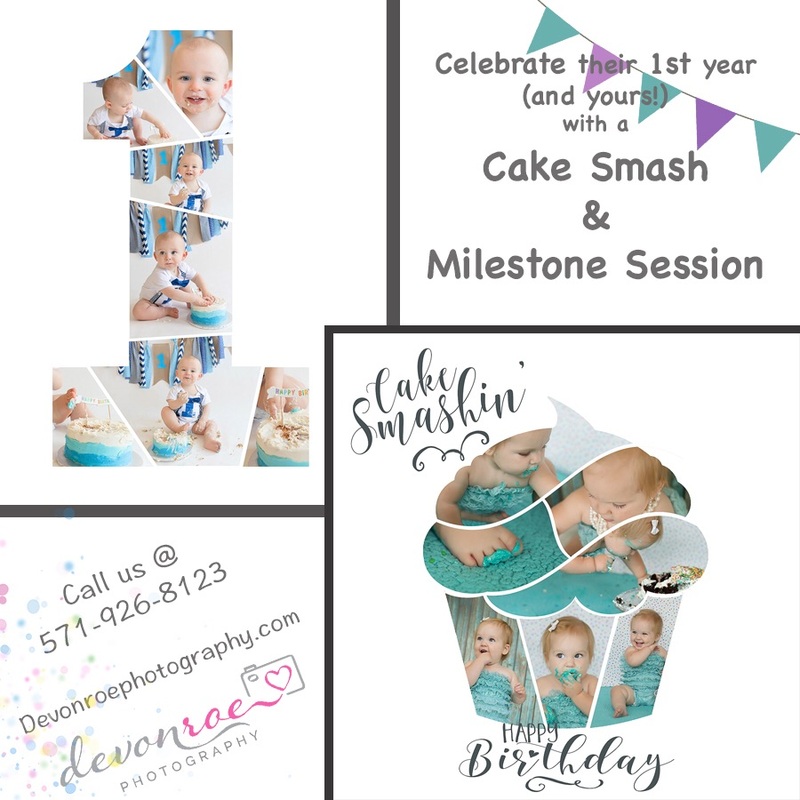 To help you celebrate, we offer Cake Smash or Paint Smash sessions. You have the option of adding a Milestone onto the Cake/Paint Smash as well. This means we will do a couple set ups (indoor or outdoor) with outfit changes to show off your growing baby and their personality before diving into the messier Smash session. Sometimes the theme matches a birthday party theme or their bedroom/nursery theme. Other times we just focus on their adorable personality! The cake is created to match your theme or color palette, is made by our awesome baker and is included with the session for your convenience. For the Paint Smash, washable paint in your color palette and a canvas is included. You take their work of art home with you at the conclusion of the session. If planning to hang it in their bedroom or nursery we can coordinate the paint colors to compliment. 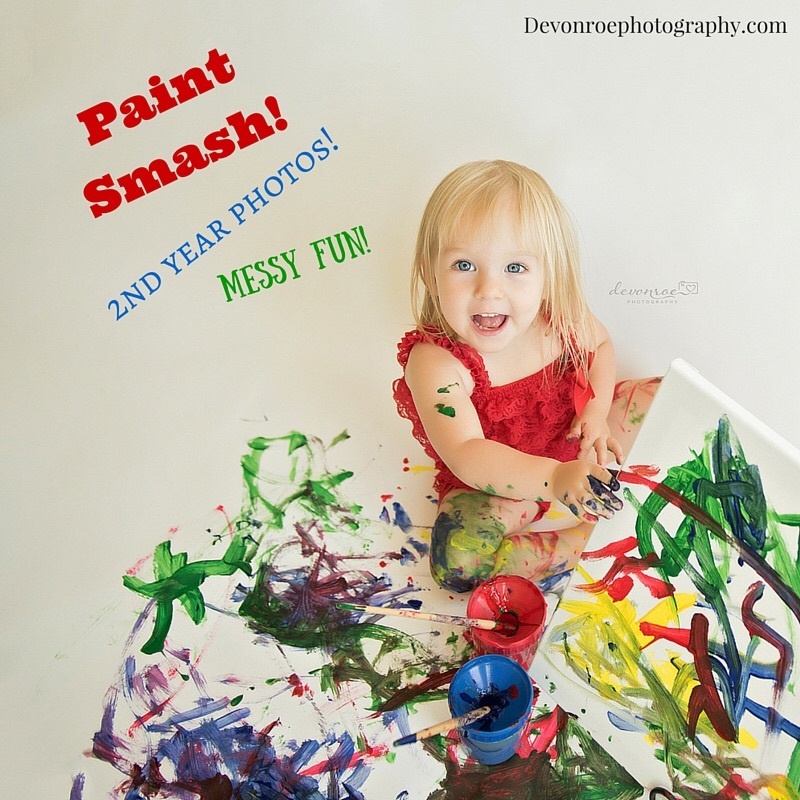 Most choose to do the Paint Smash for a 2nd or 3rd birthday, if they have done a Cake Smash previously. After the cake is all 'smashed' we give your little one a bubble bath! Bubble bath shoots are included with all Cake Smash sessions. They can be added onto the Paint Smash as well. 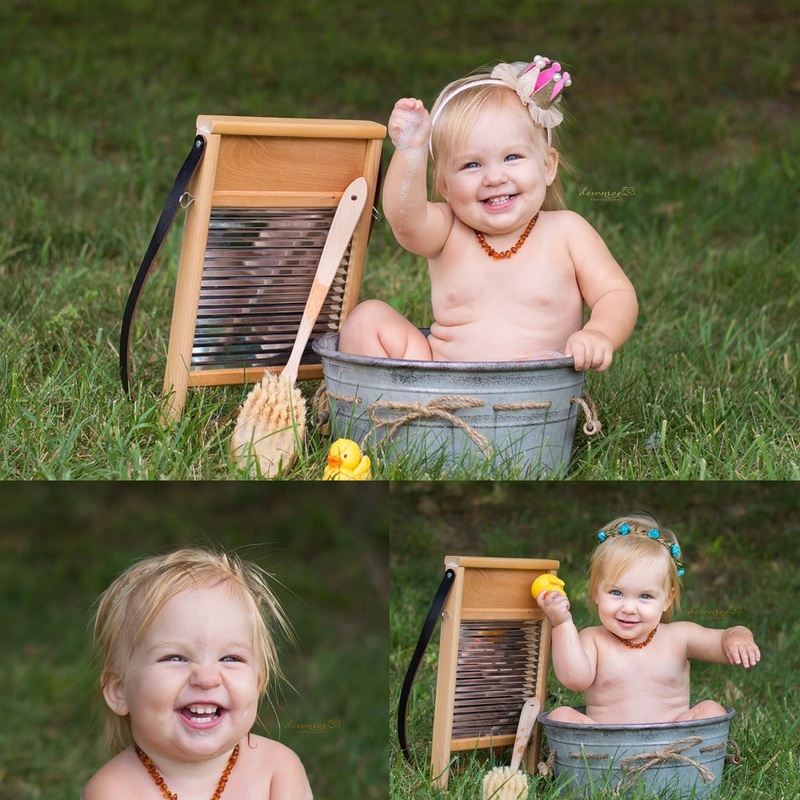 Little ones love water and bubbles and we always get such fun smiles! We take care of everything so you can enjoy these messy moments to the fullest without the stress of clean up. Your little one goes home clean too! 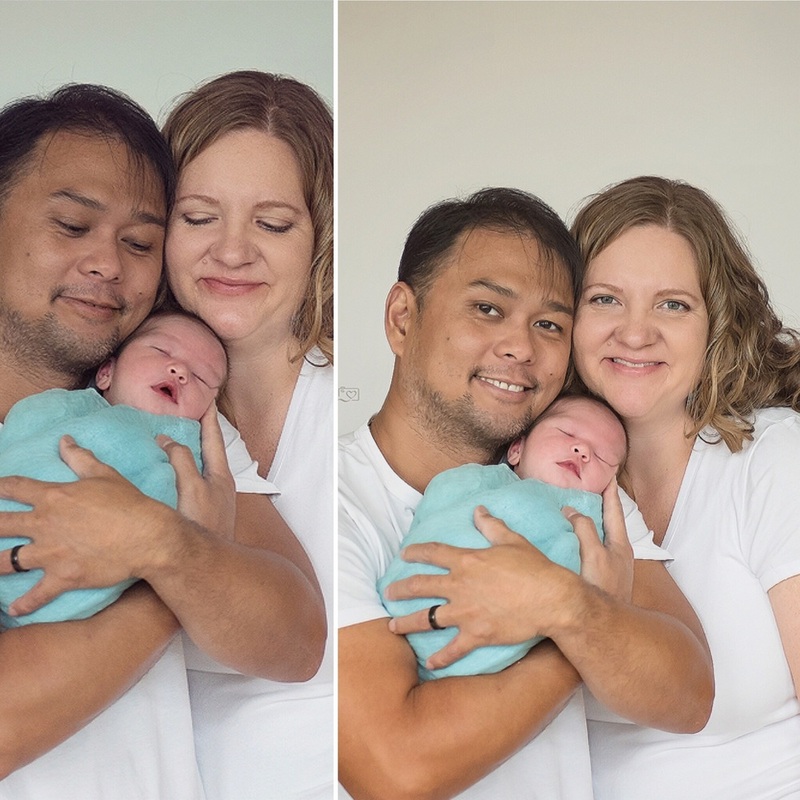 We often create beautiful canvases, metals or other storyboard collages from these sessions. We can even create birthday party invitations from these sessions so book early enough to do this if interested. 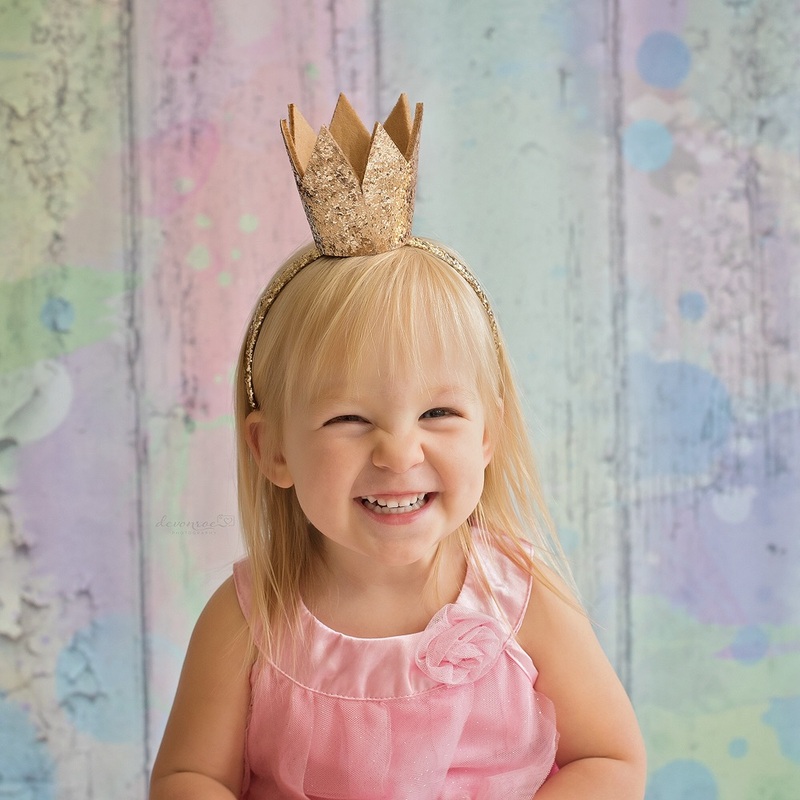 We can't wait to celebrate your child's birthday with a Cake Smash or Paint Smash!